When both our companies announced a long weekend in celebration of Easter, it was an instant ‘light bulb’ moment for us. There was no elaborate planning involved, no overthinking, no what if's and what could have been's this time around. My husband and I just talked about it one night (almost half-jokingly even), booked everything the very next morning, and just prayed for the best. I guess the Holy week also inspired us to finally make everything happen this time. 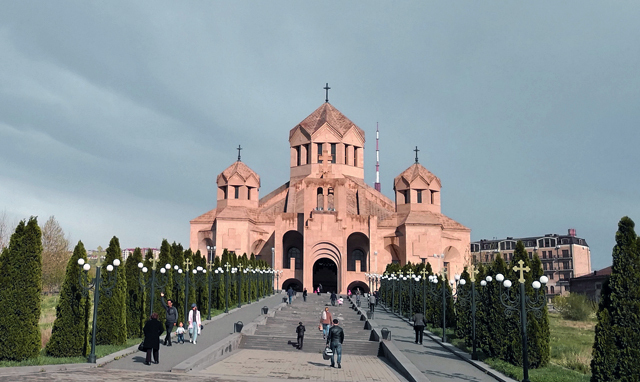 Believed to be the first ever Christian nation, Armenia holds such an important part in the history of Christianity, which really makes this trip all the more meaningful for us more than anything. 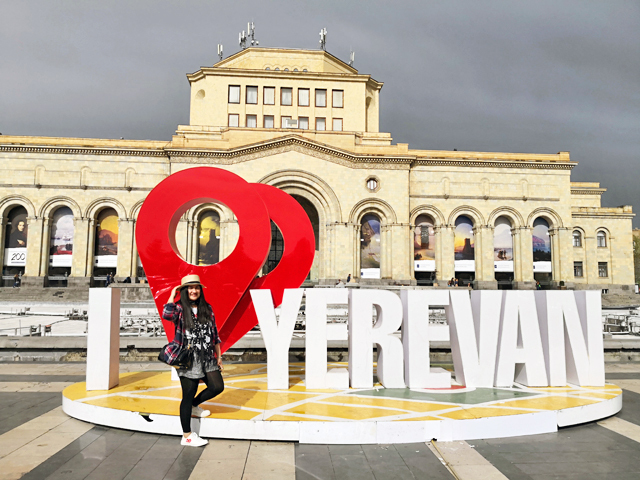 Its capital Yerevan, also dubbed as Pink City due to the rose-colored tuff (volcanic rocks) used in majority of its buildings, is barely a three-hour flight from Dubai that it’s actually no surprise why it's voted as one of the most popular destinations for UAE travellers last year. It's also convenient that tourist visa for Philippine passport holders and a lot of other nationalities too is given upon arrival for as long as you have proper documentation and can present your return ticket and hotel booking confirmation. So that's definitely one less hassle for us to worry about. 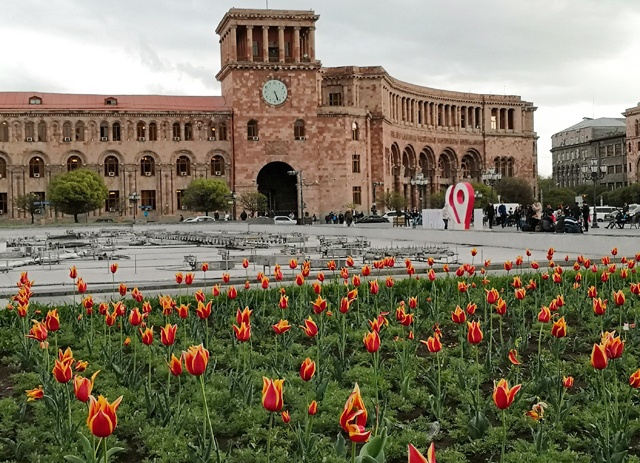 We stayed in Armenia for three days and three nights exploring the city and the countryside as well. 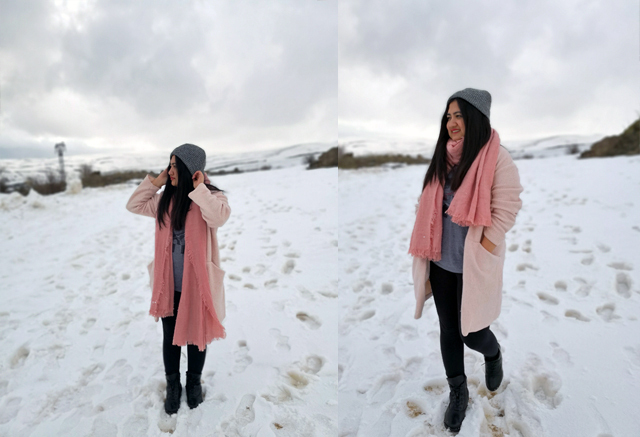 To be honest, I would have wanted to extend for two more days to cover more places, but I have to say that as it is, this short trip already became the perfect little breather and spontaneous adventure that we needed. 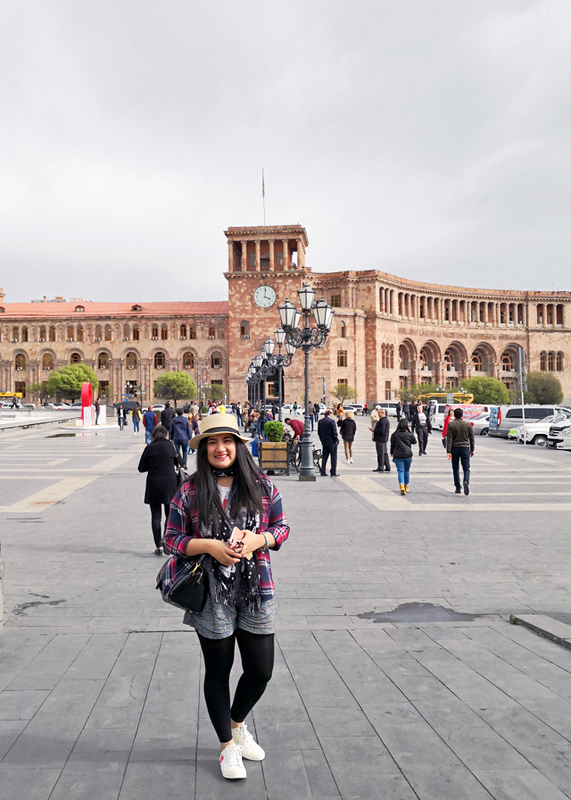 We checked in first at Armenia Marriott Hotel right in the middle of Republic Square for one night. But for the remaining days of our trip, we stayed in Hyatt Place, just a few steps from Marriott. Although a tad more inexpensive, we preferred Hyatt since the hotel was newer, had better facilities and more spacious rooms, manned by friendlier staff, and they offered free breakfast buffet too. Hyatt Place is also located around Republic Square, the city's central town square surrounded by the country's most important buildings such as the National Gallery, History Museum, and government buildings, which obviously made visiting these landmarks a lot easier for us. When it comes to gastronomical adventure, Armenian cuisine is not one to disappoint. Whether you're after cheap eats or fine dining, you will never run out of great options. We had our daily breakfast in the hotel, but made sure to sample their local dishes for lunch and dinner. 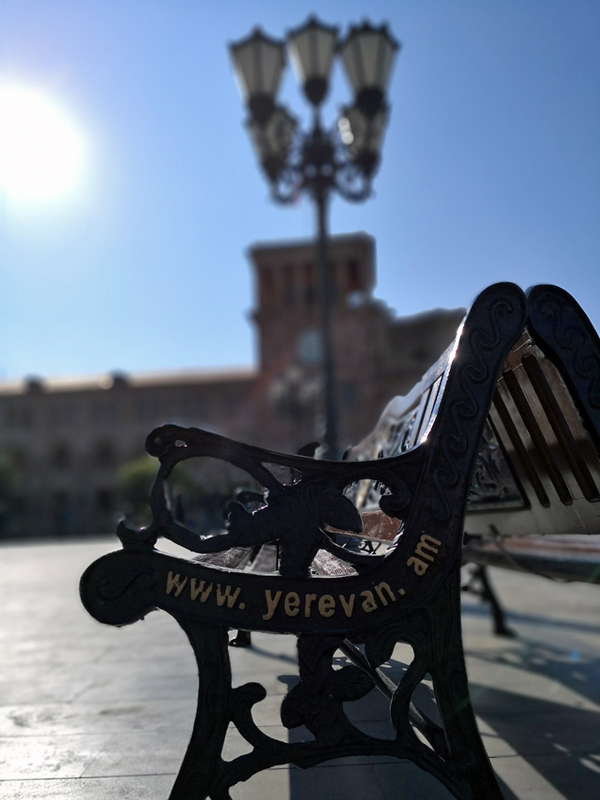 Their taverns or traditional restaurants serve not only a wide array of fantastic grilled meats, fresh fish, and tasty veggie dishes, but also a great hangout place to drink, catch live Armenian music, socialize, and enjoy the local vibes. Our guide brought us to a local pub called Aragast Cafe and Restaurant for dinner in Yerevan, which she used to frequent back in college, and serves both local Armenian and Georgian food. 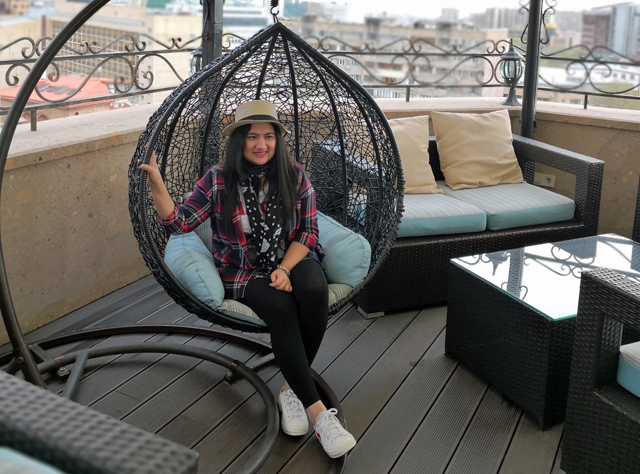 We also tried another restaurant just outside Garni temple that had a view of the temple, exotic decor, and quite the homey vibes. 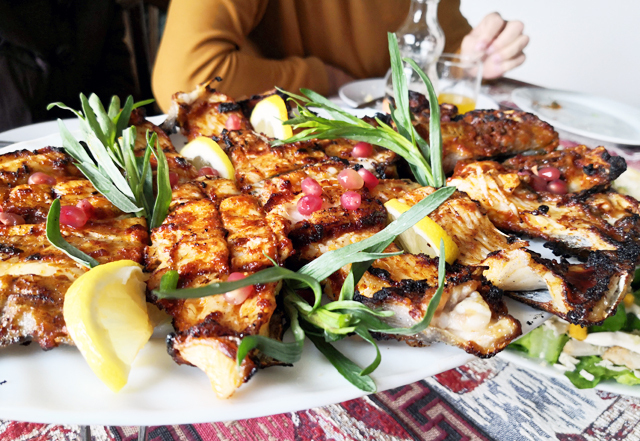 Its name was a bit too tricky for me to pronounce, so it didn't stick with me, but their grilled trout topped with pomegranate seeds deserves a clear thumbs up and definitely one of the best foods we've ever tried in Armenia. 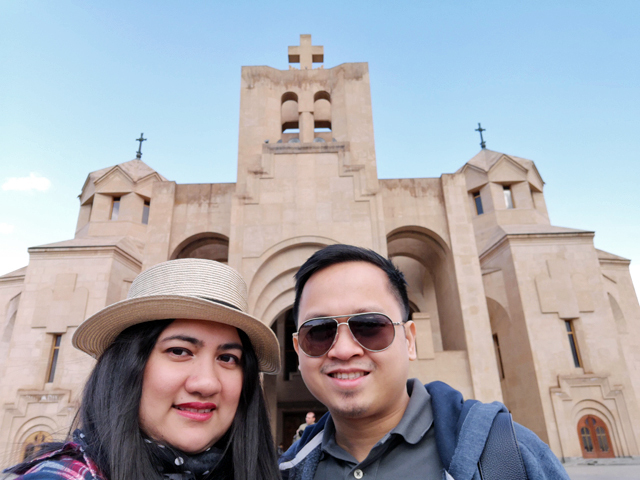 Armenia is one of the oldest wine-producing regions in the world, and my husband and I became instant fans. Their homemade wine has become a staple in our every meal all throughout this trip. I call it 'indulgence minus the guilt' because even the most fancy-schmancy bottle of flavorful Armenian wine in the supermarket, restaurant, or winery won't break the bank. Would you believe that a nice bottle can cost as low as US$1.50? Insane! 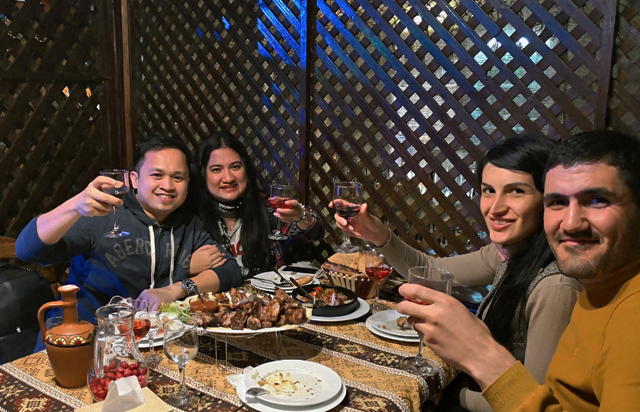 The price of food in Armenia, especially outside Yerevan, is generally affordable compared to Dubai and most places we've been to before, so every certified foodie will surely have a ball enjoying the local food scene. 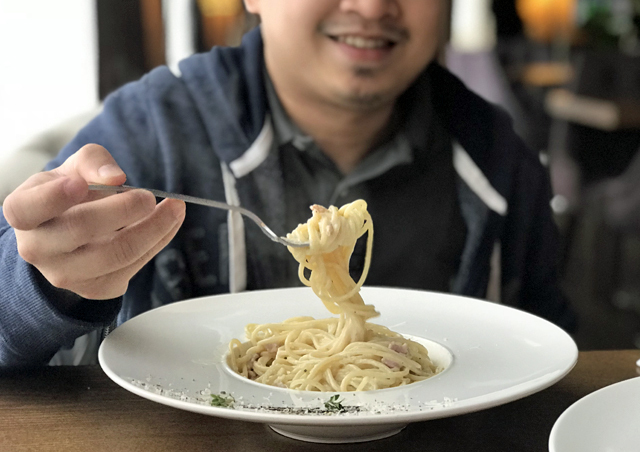 Important tip: Be wary of restaurants who trick unknowing tourists with a “special menu” that more than doubles the price of the food. 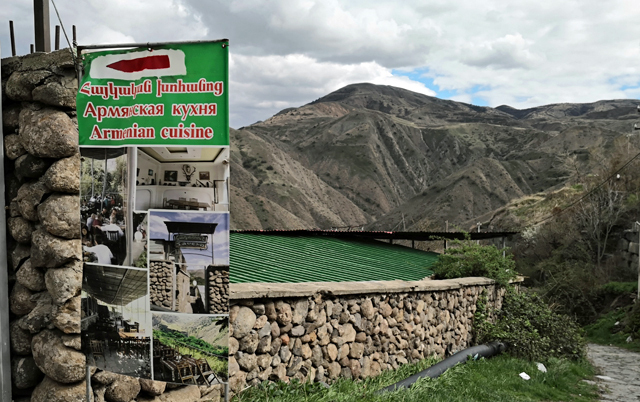 There are also local guides who take advantage of tourists by saying that the restaurant does not have an actual menu and would then force you to order the most expensive food items where they secretly earn commissions. 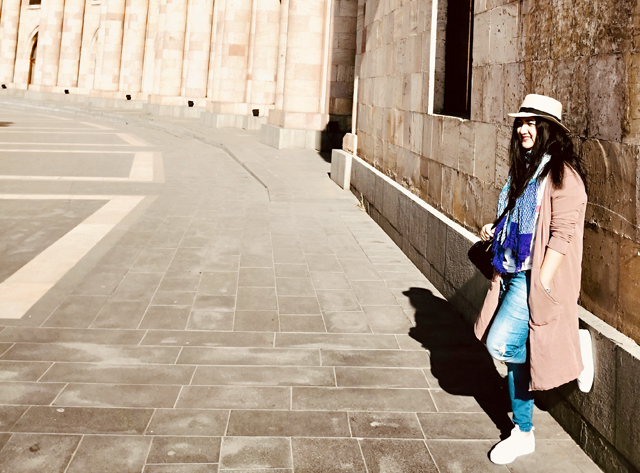 Walking around Yerevan is such a visual treat. It was drizzling on the day we arrived, but the rain and nippy weather didn't hinder us from exploring the city. Republic Square boasts of impressive neoclassical architecture, rose-colored facade and charming aesthetics that translate beautifully in photos and in real life. The square looks extra vibrant at night with the lights and fountain that looks absolutely dreamy. Colorful tulips which were in full bloom and surrounding every corner of the city during our stay added to the breathtaking allure of spring. It's funny because I initially thought those flowers were fake because they looked so perfect. 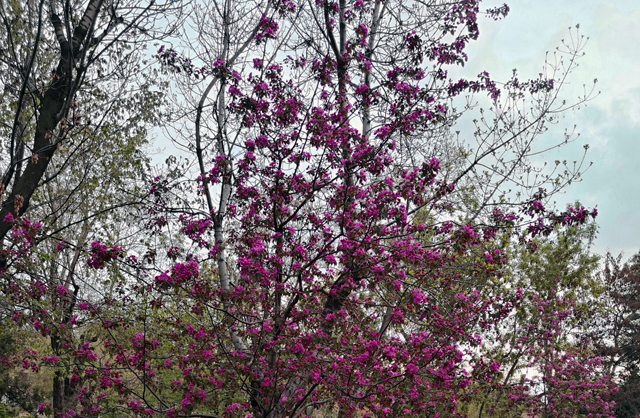 Gorgeous cherry blossoms trees are blooming all over Armenia too! 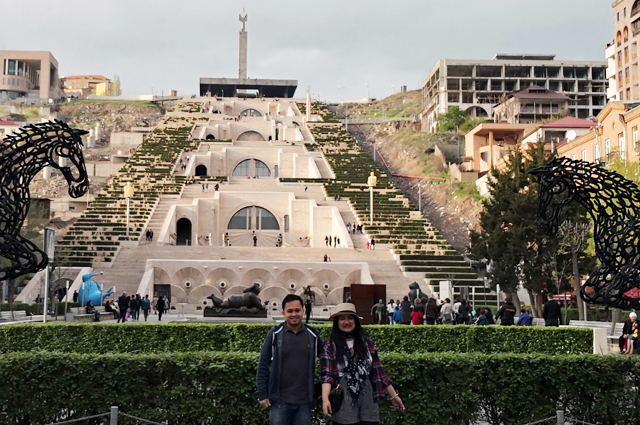 It was Good Friday when we explored Yerevan, and felt blessed that one of the first places we got to visit there was the largest cathedral in Armenia – the Saint Gregory the Illuminator Cathedral, located along Tigran Mets Avenue in Kentron District. 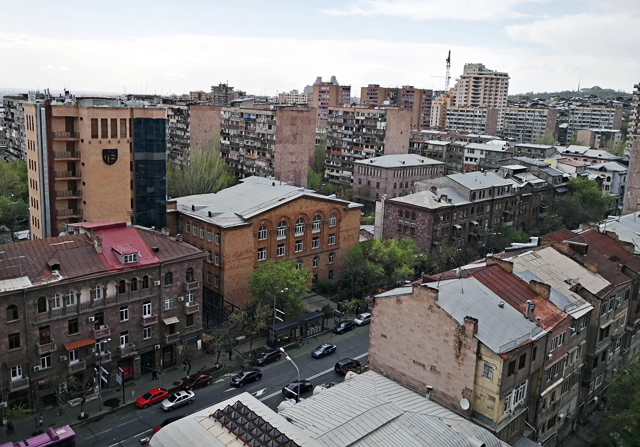 Yerevan is one of the oldest cities in the world, but the city has gone through a lot of incredible transformations post-Soviet. 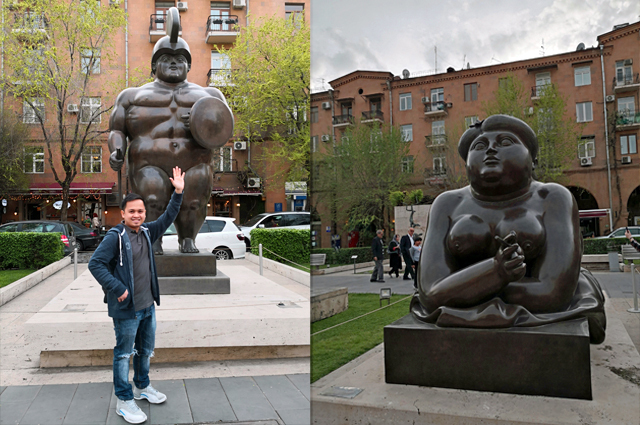 Various statues and monuments in honor of their local artists and other notable Armenians can be seen all over the city. 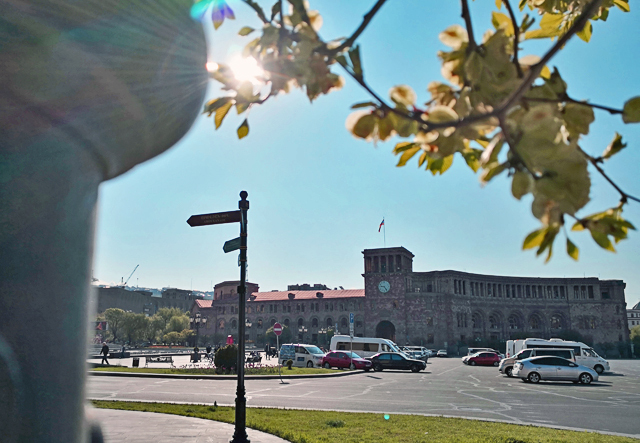 The statue of Mother Armenia was erected to replace the statue of Joseph Stalin in Victory Park which overlooks the city. I particularly love how our guide describes her: "She offers good wine to those who come in peace, but a sharp sword to those who declare war." 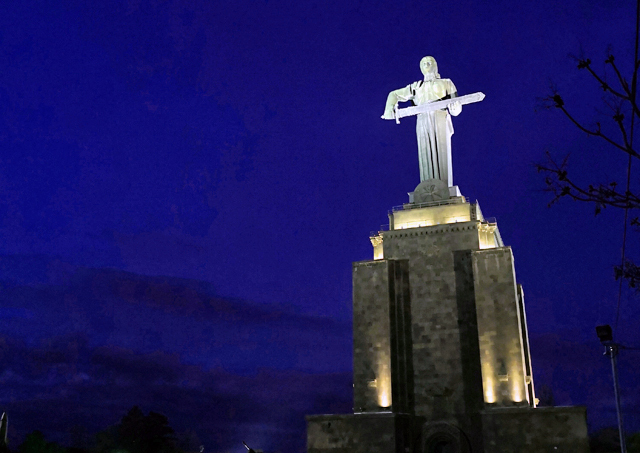 The monumental statue is a celebration of Armenia's victory after World War II and also symbolizes the nation's freedom and "peace through strength". We went to Swan Lake Park, a manmade lake and popular events and recreation area where Kanye West had his "interesting" impromptu concert three years ago. We then passed by the Opera House and also Lovers Park along Baghramyan Avenue. Yerevan Cascade, a giant stairway structure built post-Soviet, has got to be among some of my favorites. You can actually get a picturesque view of the city once you get to the top. 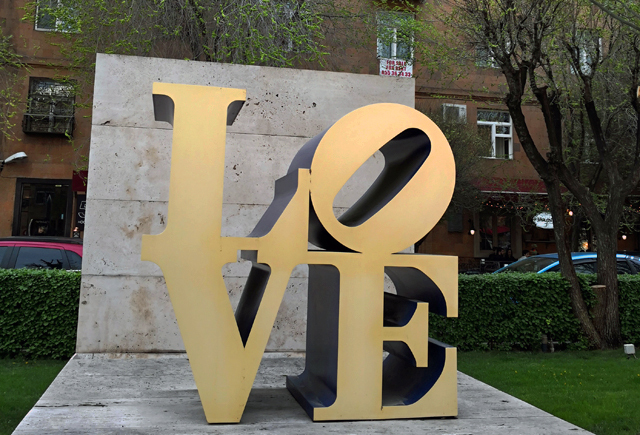 It is adjacent to a public park showcasing so many quirky and fascinating modern sculptures and statues. 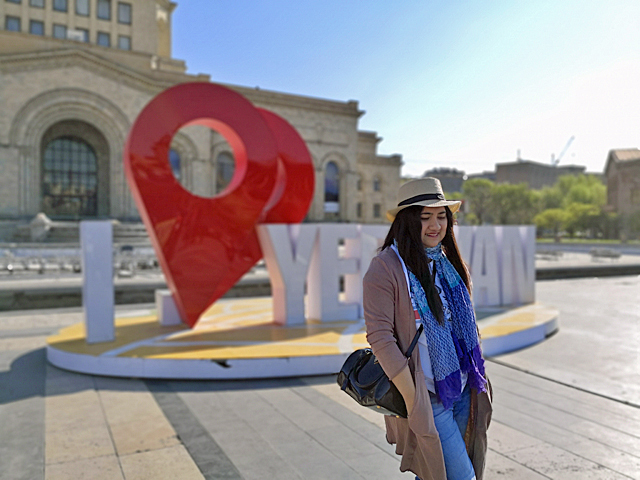 To be honest, I was initially apprehensive to visit Tsitsernakaberd or the Armenian Genocide Museum complex which was dedicated to the victims of the holocaust, but we still decided to check it briefly. It's obviously one of the most heartbreaking chapters in Armenian history, and I really believe that the country has a lot more beautiful places and amazing experiences to offer beyond the genocide. I did find the visit interesting and I think that visiting the memorial site is not only a sign of respect, but also gives one a better perspective and understanding of Armenia's cause and all the lessons that the holocaust is trying to impart to the rest of the world. 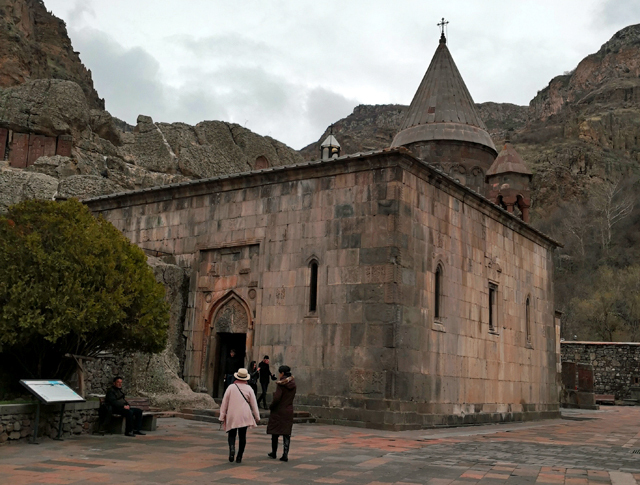 We also went on a full day tour to the countryside to visit Geghard Monastery or Geghardavank, a medieval World Heritage Site in Kotayk built in 1215 and founded by Saint Gregory the Illuminator. Geghardavank which literally translates to "Monastery of Spears," is said to be named after the spear that wounded Jesus Christ during the crucifixion. The spear itself was believed to be brought to Armenia by Saint Jude. Those who follow the Christian faith would find it amazing that a sacred spring inside a cave can actually be found inside the monastery. A bit of drive after Geghard was the Temple of Garni, one of the oldest and probably most visited pre-Christian structures in Armenia. It was supposed to be built around the 1st century AD and was a place of worship to the god of the sun. 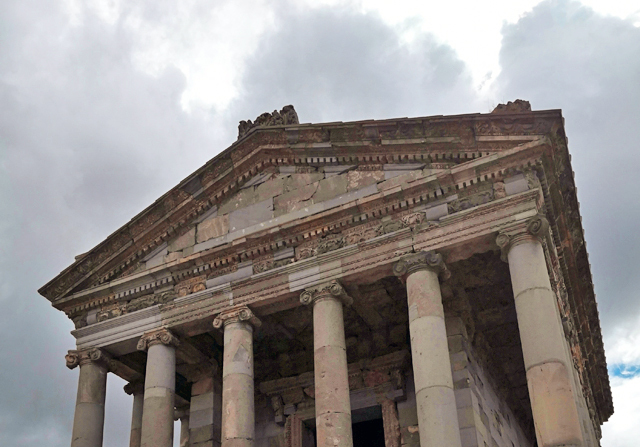 Historical accounts on this ancient Greco-Roman structure were very fascinating to hear, and the scenic views surrounding the temple made the visit worth it. One tip: You can visit Garni every last Saturday of the month if you want free access. We visited on March 31st which also happened to be a Saturday and was surprised to hear about this. 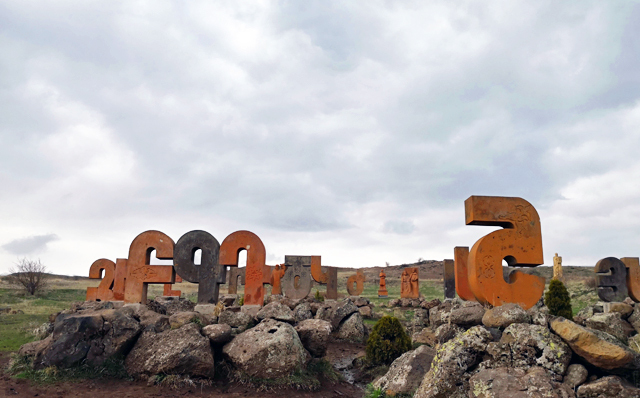 We dropped by Armenian Alphabet Monument as well on our way to Mount Aragats. The huge blocks of stone letters were set up near the final resting place of the man who created their alphabet, Mesrop Mashtots, in Artashavan. 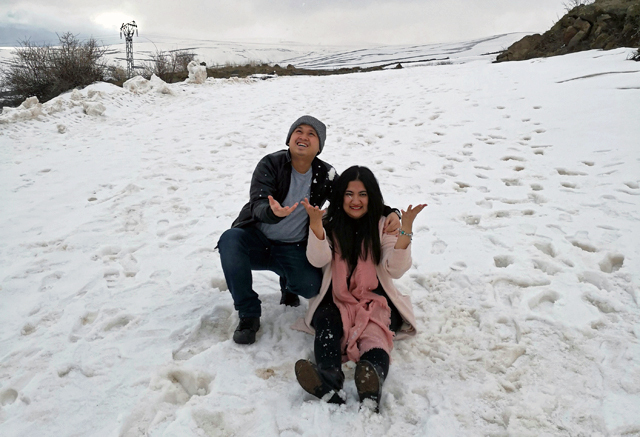 I honestly couldn't remember the last time we experienced snow prior to this trip, so we decided to drive all the way up Mount Aragats for a bit of fun in the snow. The sun was about to set when we reached the top, so I think we spent only around thirty minutes and eventually headed back to our hotel in Yerevan. 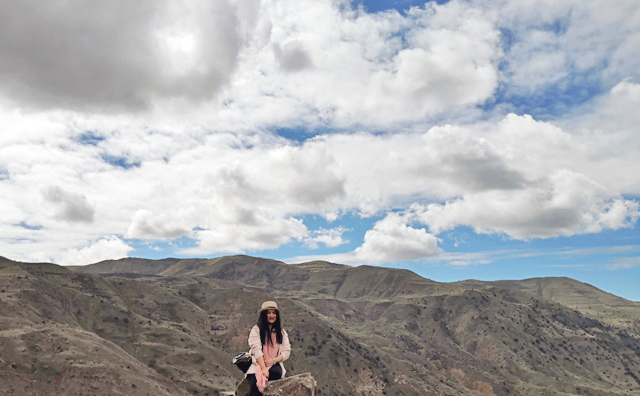 Our trip to Armenia was undeniably the most spontaneous adventures we’ve ever had that it almost scared me in the beginning. It was definitely spur of the moment in every sense of the word, but I'm more than happy that we managed to pull it all off. Yes, there were so many surprising discoveries and unexpected hurdles, but at the end of the day, these are the things that ultimately make life a lot more interesting and exciting. What's on your next travel destination list?